The article has a wealth of issues, not the least of which was how he framed the Battle of Leyte Gulf. But for our purposes here, let us focus on his long time advocacy — the shipyard at Balamban. The Aboitiz owned Shipyard in Balamban has made a lot of fast crafts that they sold to the United Kingdom and the Netherlands, including a fast ferry to Hong Kong. These are ultra fast vessels that can be made to carry ship-to-ship missiles that could blow a Chinese aircraft carrier out of the water if it is armed by a Tomahawk or Exocet missile systems. This is something that we Filipinos can build on our own without relying on US Aid because we just cannot accept the population control requirements that the US is demanding in return for that aid. I say it is time to arm ourselves because we truly can do it in Balamban at a much lower cost. But will we? Ask P-Noy! The shipyard that built the ships that he mentions on his column was a partnership between FBMA Babcock and Aboitiz, Inc. It’s product-line included a number of para-military patrol ships listed on the following product brochure. These boats range from 25 to 45 meters in length. The largest of these boats are comparable to the largest patrol gunboat currently in service, the indigenously produced Aguinaldo class. However they are significantly smaller than the World War II PCEs, or the 80s vintage ex-Royal Navy Jacinto class Offshore Patrol Vessels. Vice Admiral Alexander Pama noted in an interview with the ANC talk show “The Rundown” that size matters when operating in the Kalayaan Island Group. This was the logic behind their acquisition of the 378-foot (115 meter) ex-USCGC Hamilton. If the missiles that Mr. Avila advocated were indeed mounted on these FBMA boats, their ability to operate where the Chinese aircraft carrier, Shi Lang, would conduct flight operations would arguably be limited. While missiles in the Exocet variety are have been installed on ships a small as 21-meter hydrofoils, the Tomahawk cruise missile is another matter. This 6.5 meter, 1,440 kg (1.44 tons) missile is launched from either heavy armored launchers or vertical launch systems that are mounted, at the very least, on guided-missile destroyers that are even larger than the Philippine Navy flagship. Would it be possible to mount these $500,000 weapons (excluding launcher and sensor-suite costs) on a 45 meter patrol boat that will be hard pressed to bring the weapon to the desired operating area? Perhaps. But would it be wise to do so? Finally, FBMA actually closed shop in August 2009 . . . as reported by the Philippine Star no less. While the shipyard may still be there, does the Philippine component of the partnership retain the rights to produce FBMA’s products? An official response from the Phil. Navy! “Dear Mr. Avila, The Philippine Navy would like to express its gratitude for your concern in getting the best deal for our Navy. We share your vision of buying the much-needed ships for our Navy from local ship-builders like FBMA Marine Inc. in Cebu. I would like to inform you that in my policy pronouncements in many occasions in the past, my guidance to the Director of the Navy Modernization Office is always to look at the possibility of buying locally. We share with you the same patriotism to “Buy Filipino”. We are also aware of the many benefits and the eventual effect if we source our equipment acquisition from local sources. However, I must point out to you that in the acquisition of military hardware, the Philippine Navy is obliged to abide with our procurement law RA 9184 governing procurement, which is through public bidding. This is to ensure transparency and to get the most value for our peso. Landing Craft Utility project – at the time of the Balamban-PNoy article shared above, a 51-meter vessel was being built at the Philippine Iron Construction & Marine Works (PICMW) shipyard in Misamis Oriental. This is due to be launched in November 2011. Timawa discussion here. Multi-Purpose Assault Craft (MPAC) Mk. II – also at the time of the above article, these were being constructed by Propmech Philippines in a shipyard in Subic Bay. Timawa discussion here. Philippine Army Water craft project – this project involved twenty boats for Philippine Army riverine units that were manufactured by a joint venture between Filipinas Fabricator Sales, Inc. and Colorado Shipyard (Cebu). A notice of award was issued for these boats in June 21, 2007, as per the AFP Modernization Report for that year. Timawa discussion here. A month before Mr. Avila’s article, the following solicitation for Offshore Patrol Vessels (OPVs) was issued on the US Federal Business Opportunities Website on behalf of the Philippine Navy. The following excerpt from this solicitation is of particular interest. 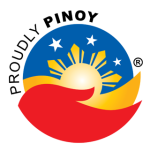 This Request for Information (RFI) N00024-11-R-2217 is being issued in anticipation of a potential future procurement program for the Republic of the Philippines. The Naval Sea Systems Command is conducting market research to determine the existence of a general purpose Offshore Patrol Vessel (OPV) possessing the characteristics listed below. The vessel must be new construction, but derived from a proven hull design previously built by the contractor. Existing vessels or conversion vessels will not be considered. The vessel would be procured under a Foreign Military Sales (FMS) Case and would operate within tropical waters in Southeast Asia. The Philippine Navy is potentially interested in having this vessel built in the Philippines, which would require the prime contractor to use a shipyard in the Philippines as a subcontractor for vessel construction. Balamban does not have a monopoly on shipbuilding in the Philippines. It would do Mr. Avila well to remember that.